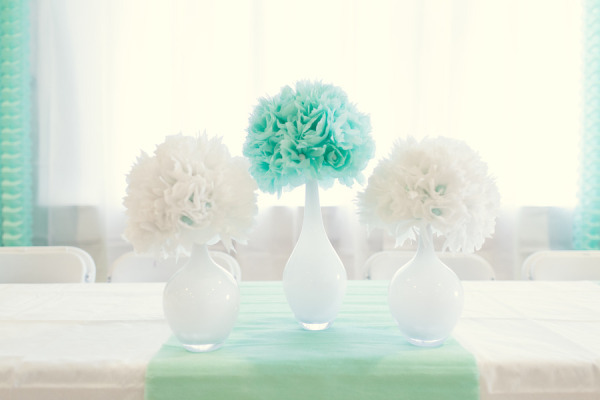 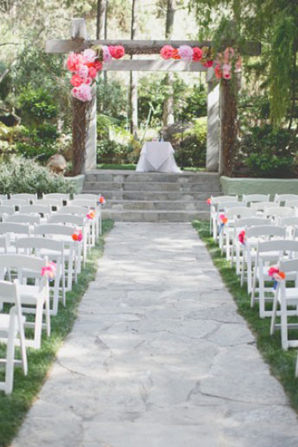 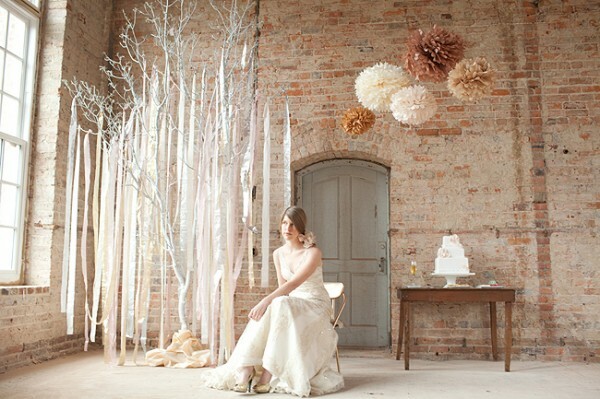 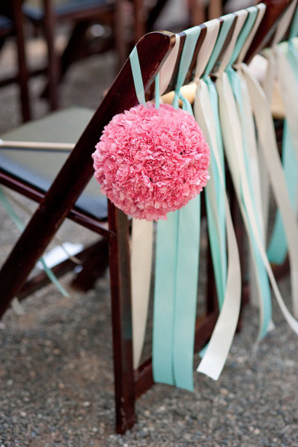 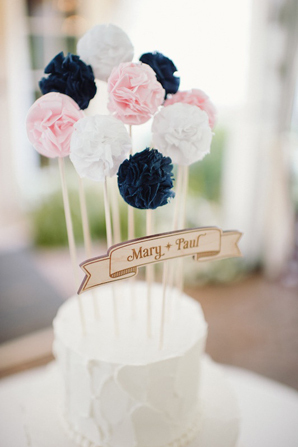 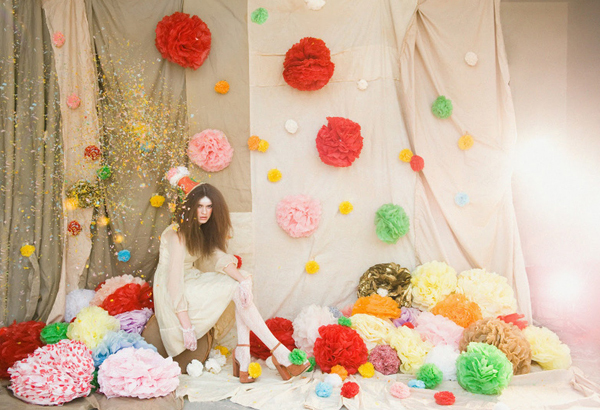 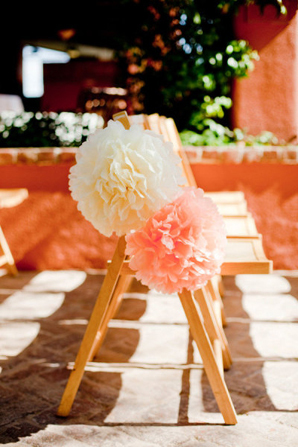 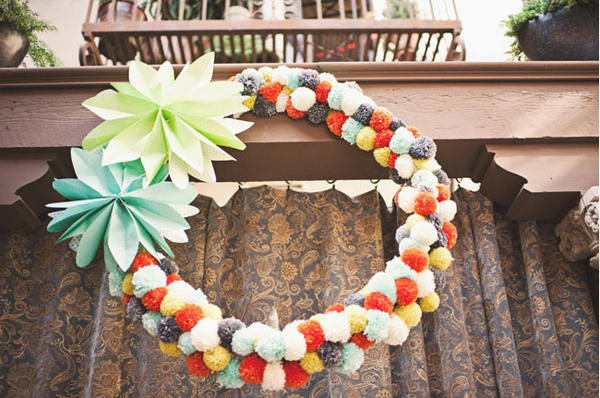 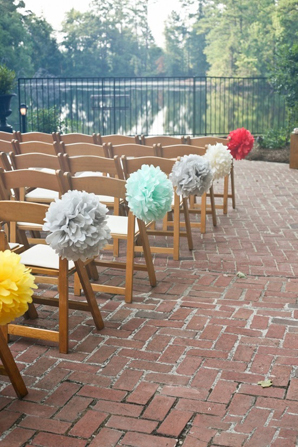 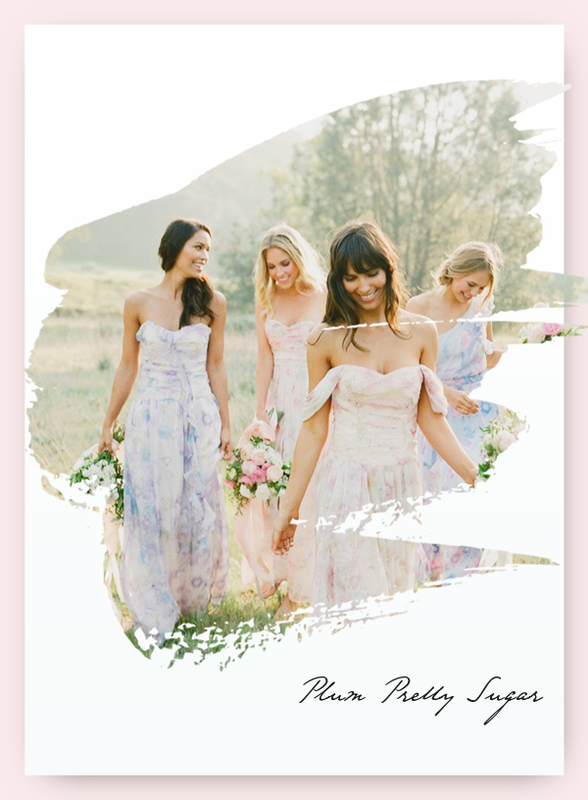 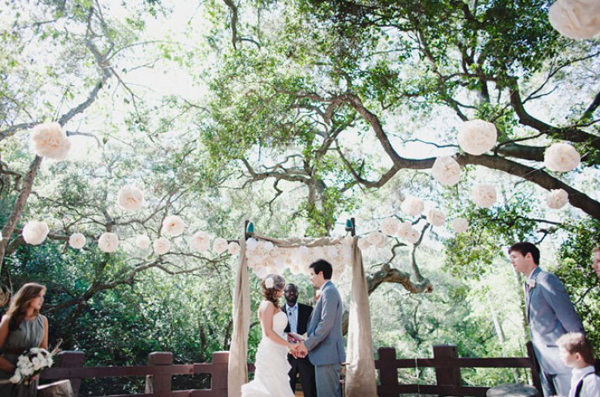 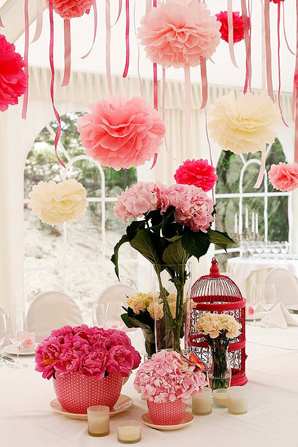 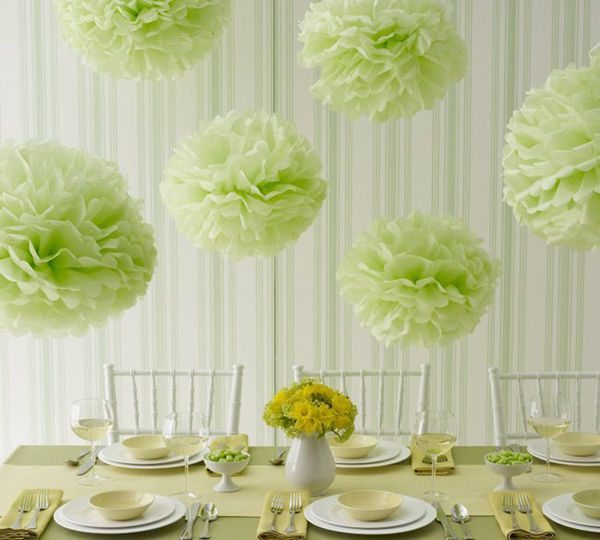 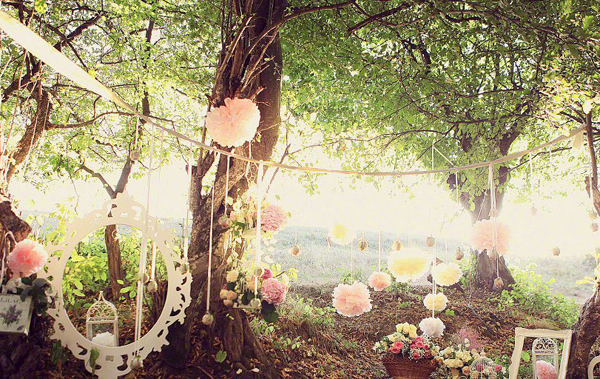 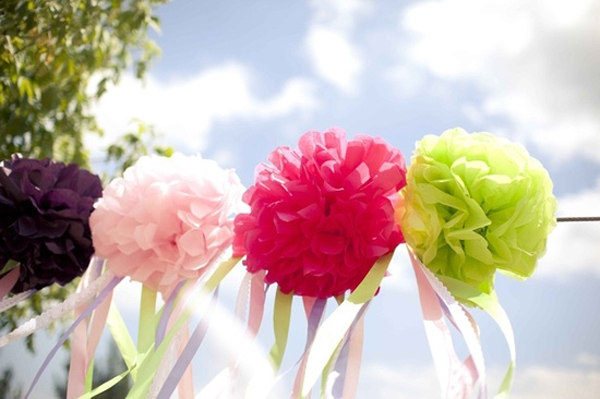 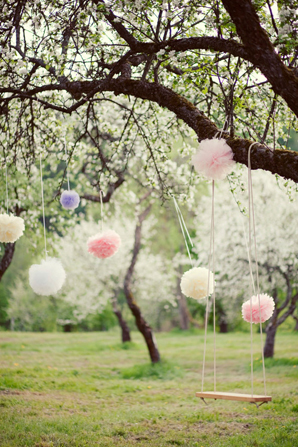 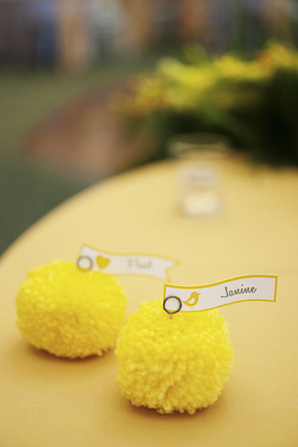 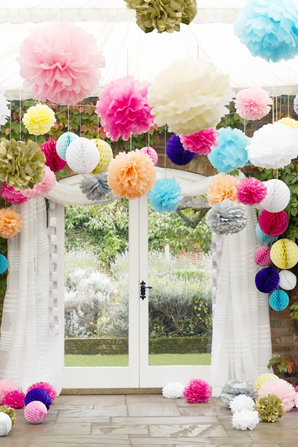 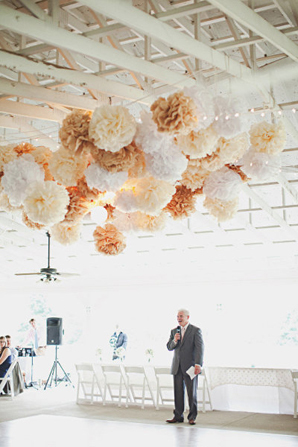 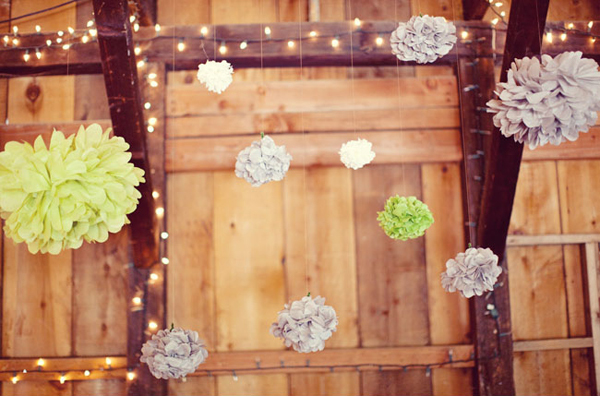 If you are looking for a way to brighten up your wedding decoration, consider adding pops of color with pom poms! 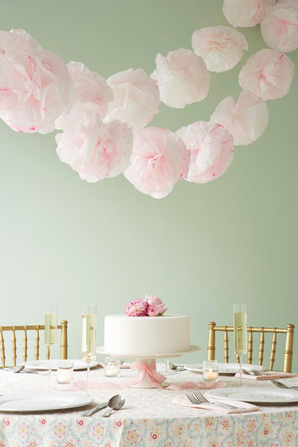 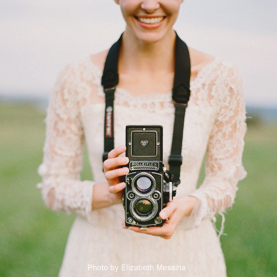 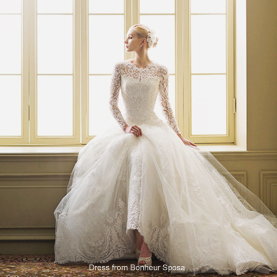 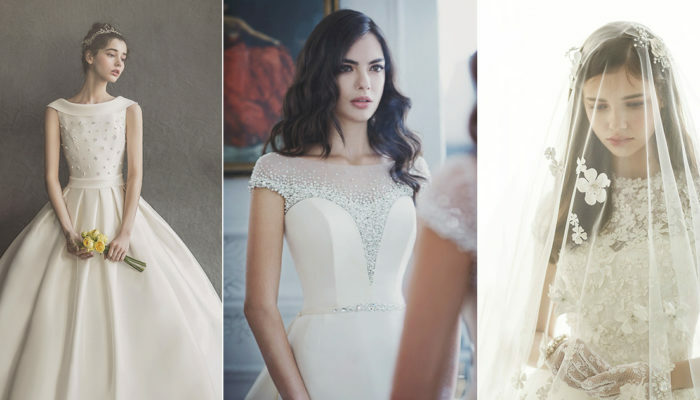 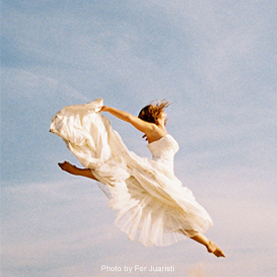 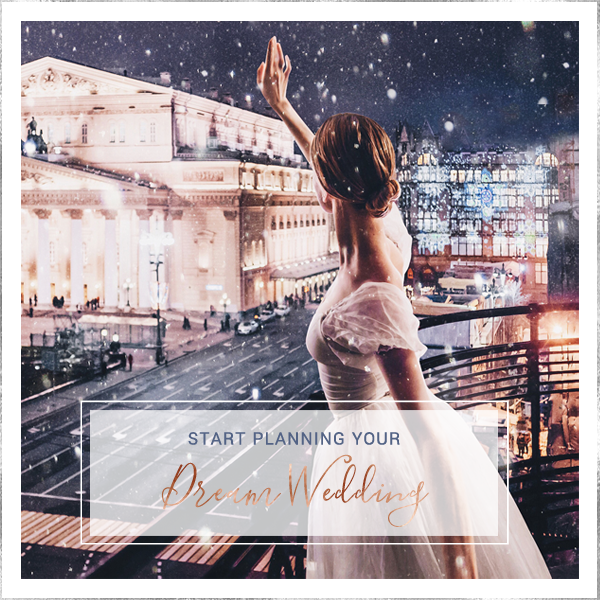 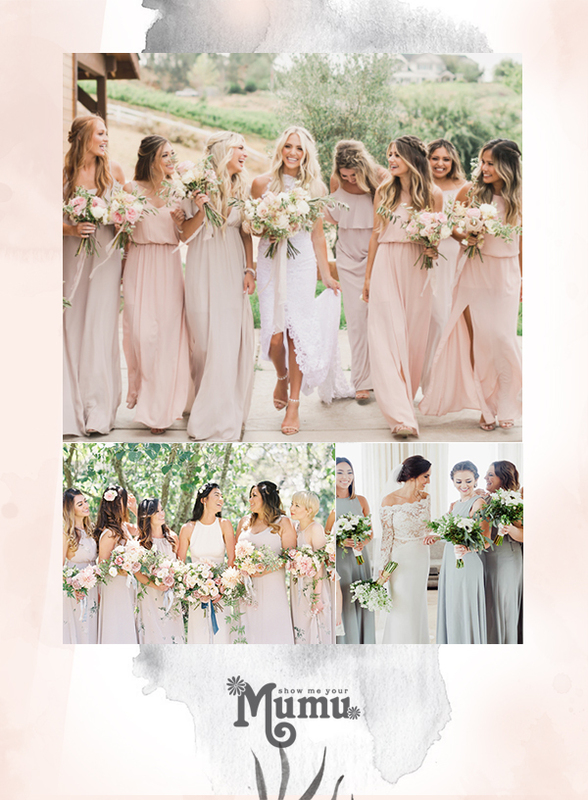 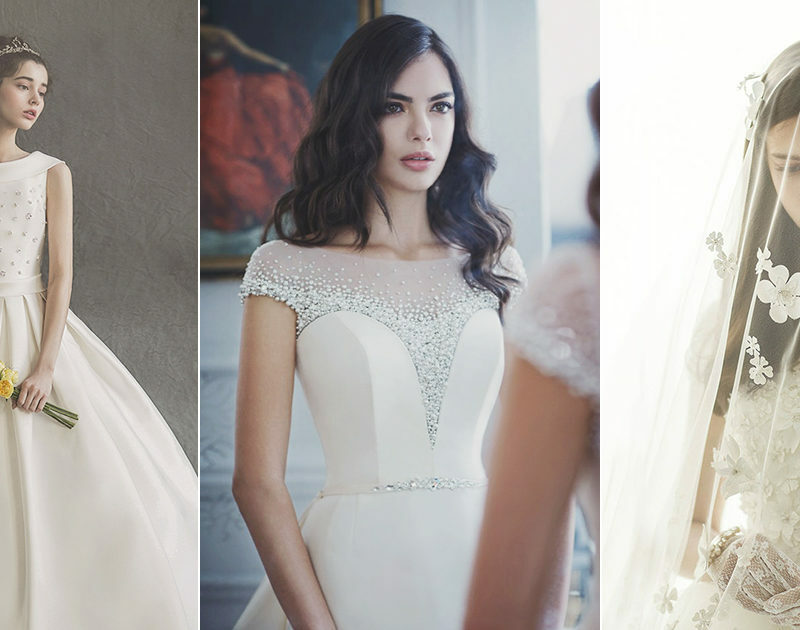 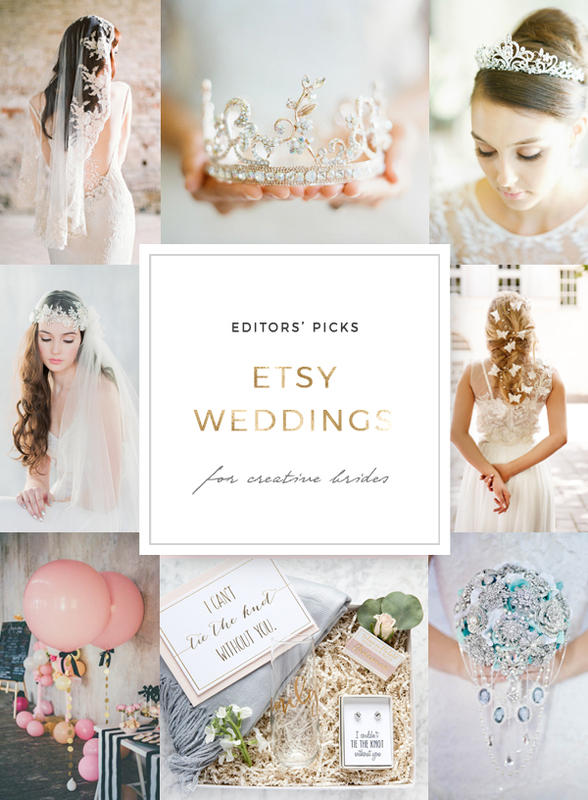 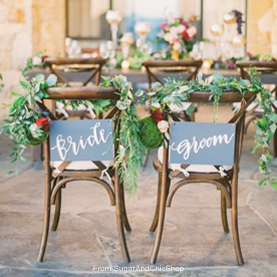 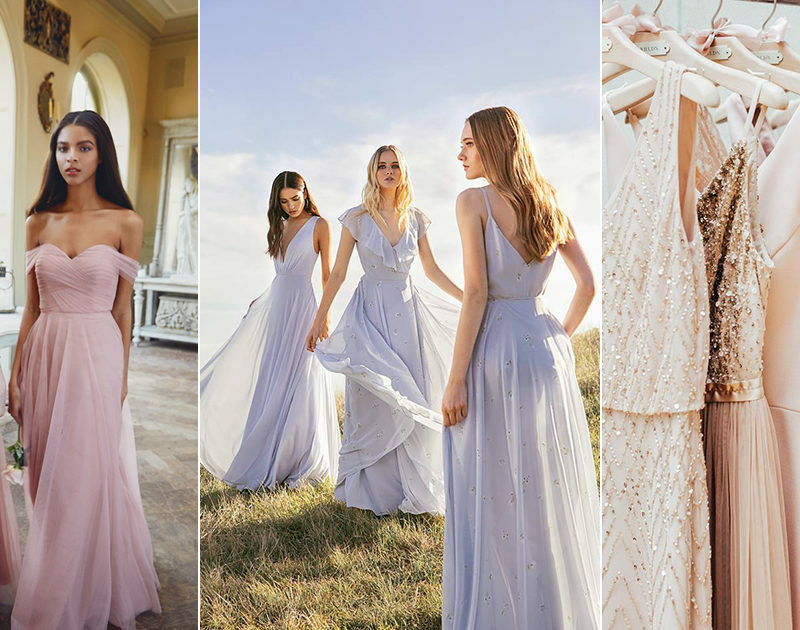 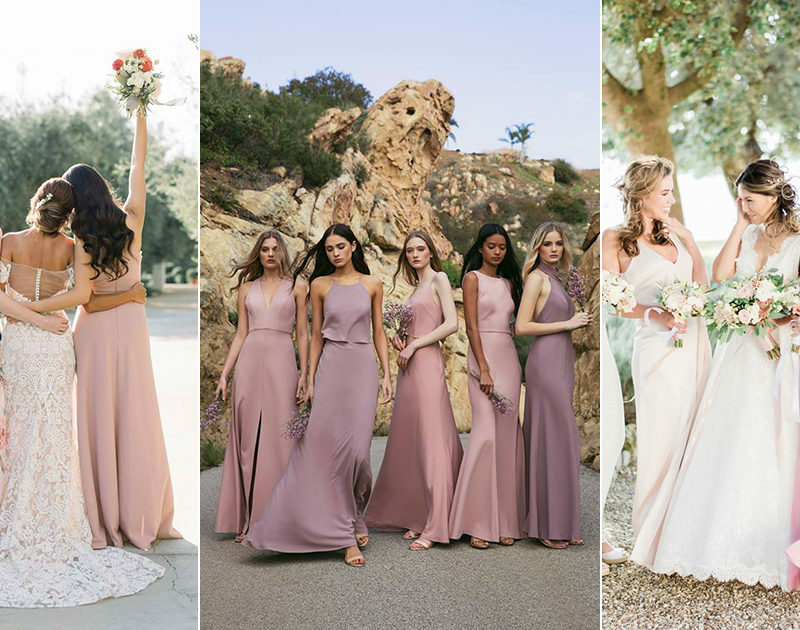 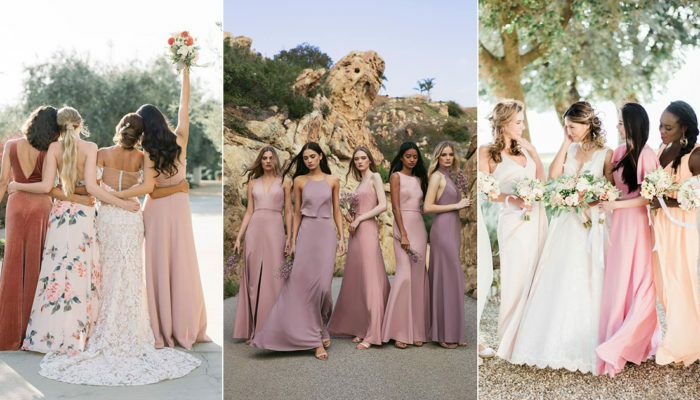 Whether used as cake topper, hanging garlands, aisle decor, or place setting, they can really help change the atmosphere of your day. 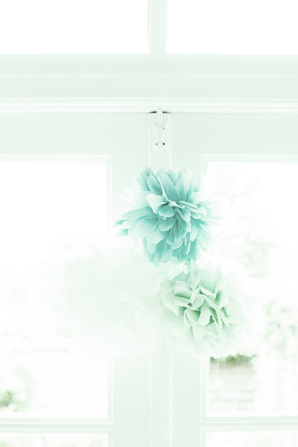 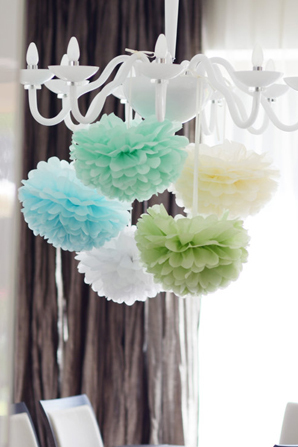 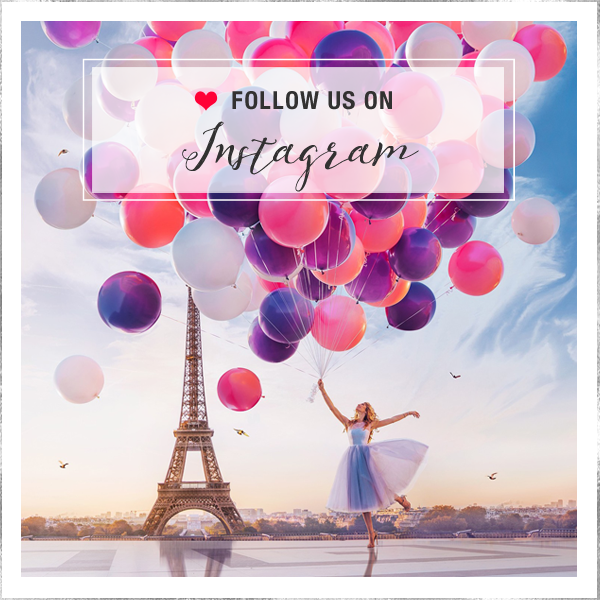 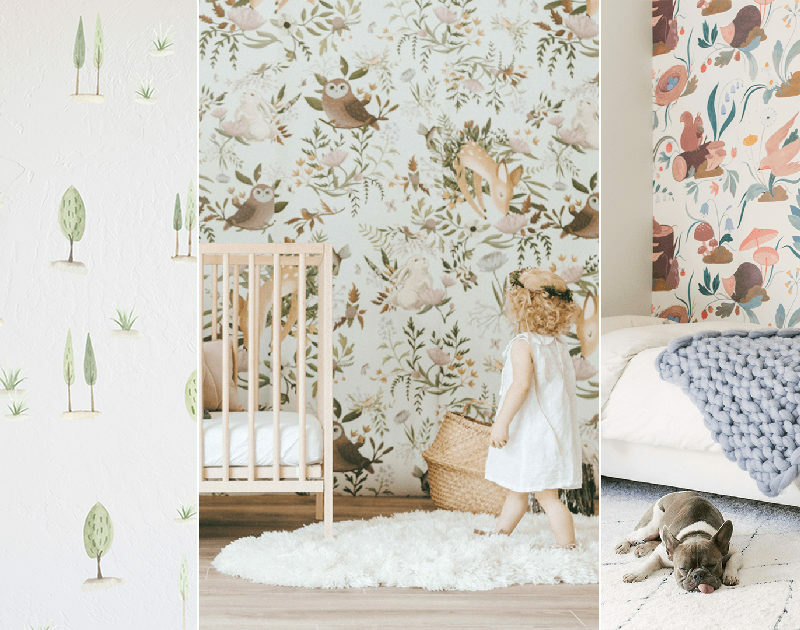 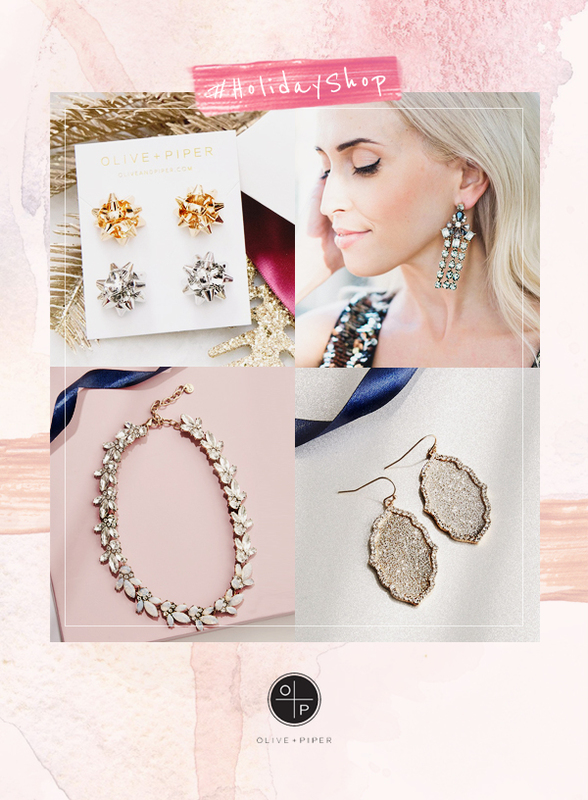 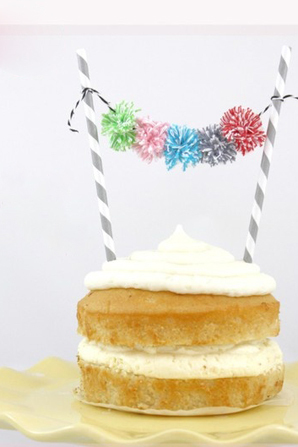 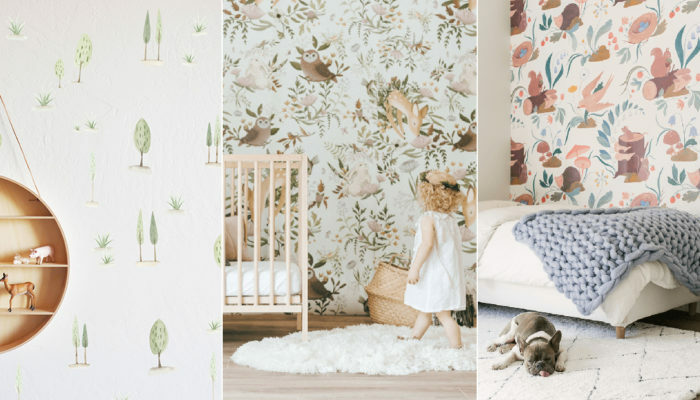 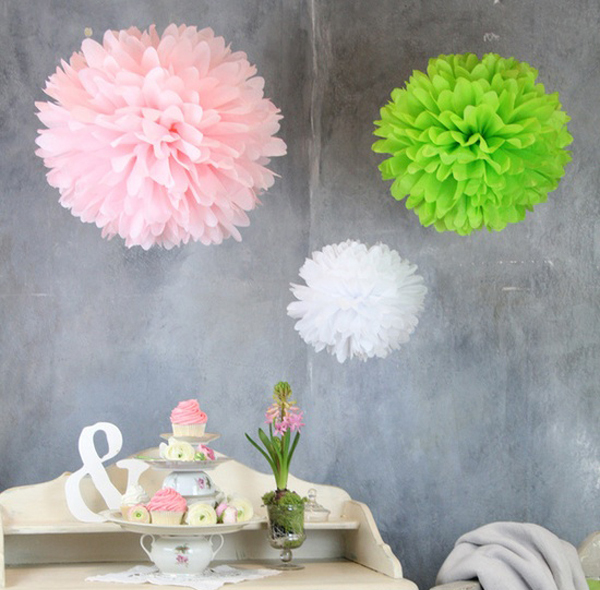 Check out these darling pom pom decoration ideas below!